The Maori civilisation is one of several joining the game in Gathering Storm, but it piqued my interest the most because it promised to break my routine. Not only does it start on and have a general affinity with the ocean, it benefits from not settling too early. Every turn waited pays dividends, but also comes with some big risks, not least that your entire civilisation could be undone if a barbarian chooses to attack your sole settler. I wasn’t bold enough to wait for more than a handful of turns, but it was enough time to find a nice spot near a natural wonder and several exploitable resources, giving me benefits that most other capitals would have missed. Having the extra time to find the perfect home is an even bigger boon given the new threats facing humanity in the expansion. Volcanic eruptions, rivers bursting their banks, rising sea levels—there are quite a few ways for Mother Nature to enact her revenge. Initially, these threats are unpredictable and unstoppable, but you can avoid them with a bit of common sense. Don’t build underneath a volcano, don’t make your home on a flood plain and don’t get a beachfront property. Simple! Except it isn’t. All these places are actually good places to settle near, giving you access to more resources and more fertile soil. The risk might be worth it. At least that&apos;s certainly what I thought as I merrily built next to rumbling mountains filled with scorching lava. Climate change, arguably the headline attraction, doesn’t start affecting the game until the Industrial era, when civs can start to exploit natural fossil fuels, but that doesn’t mean bad weather and natural disasters can’t kick off at any time. Even when they weren’t affecting me, messages about droughts and storms reached my civilisation, like an ancient Weather Channel. I could even see storm clouds in the fog of war, or at least little drawings of them, so I knew where they were even if I didn’t have cities or troops there at the time. Fully settled, the Maori function like most of the other civs, though there remain quirks thanks to some unique abilities, like additional benefits from rainforest tiles and immediately starting with shipbuilding tech. 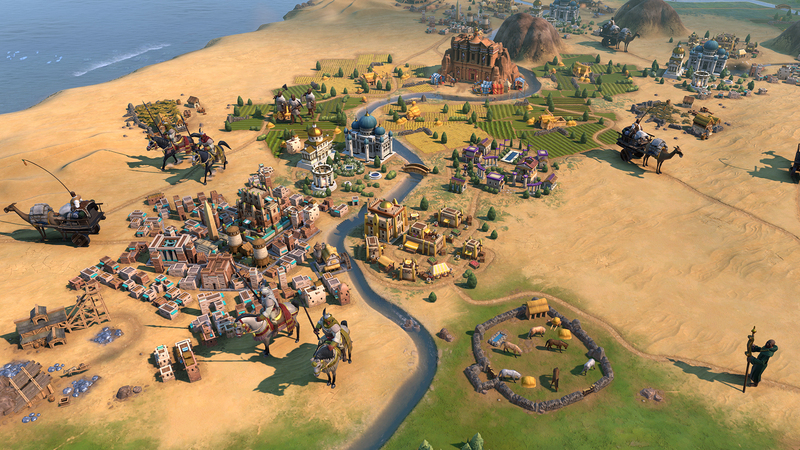 I was, I confess, hoping for something more like Civilization 5’s Venice, which plays unlike any other civ and never grows beyond a single city, but there is still a hint of that asymmetry. With my scouts sent out, I filled my rolodex with other civs and, eventually, the World Congress was established. Like Rise and Fall, Gathering Storm adds more features to the World Congress and diplomacy, offering up more opportunities for civs to work together and compete. Japan was in trouble. One of its cities was near a volcano that had erupted, creating an emergency that was brought before the World Congress. Like other emergencies, it set tasks for participating civs and then doled out rewards depending on how much effort you&apos;ve put in. In this case, Japan needed gold to repair the damage, which could be offered as a gift or via a project that could be undertaken in one of my cities. I sympathised with Japan, having dealt with my own volcanic eruption a few turns before, so I was extremely helpful. As a credit to humanity, I was rewarded appropriately: with a big stack of diplomatic favour. Diplomatic favour is a common reward in such emergencies, but can be earned in other ways and traded with fellow civs. It&apos;s a new resource that lets you boost influence when voting in the World Congress and can lead to a new diplomatic victory. It&apos;s pretty handy. Say some resolutions have been put before the world’s civs, so you go through them and the pick the ones you want to vote on. Maybe there’s a resolution where the targeted civ gets another trade route, and everyone trading with them gets extra gold. You can pick the civ—maybe you really need the extra route, so you pick yourself—and then you can start spending favour, essentially giving yourself more votes. On its own, diplomatic favour seems like a clear way to understand how much international influence a civ has, and it adds some welcome structure and competition to the diplomatic game. Importantly, that competition can also be won without being completely adversarial. If you want to be a force for good in the world, making friends and helping people, you can absolutely do that and still earn lots of favour. Ultimately, it’s all about uniting the world, which is probably going to be a lot easier to do if you’ve not made a long list of enemies. When applied to a game that already has lots of systems, however, it loses some of its elegance. 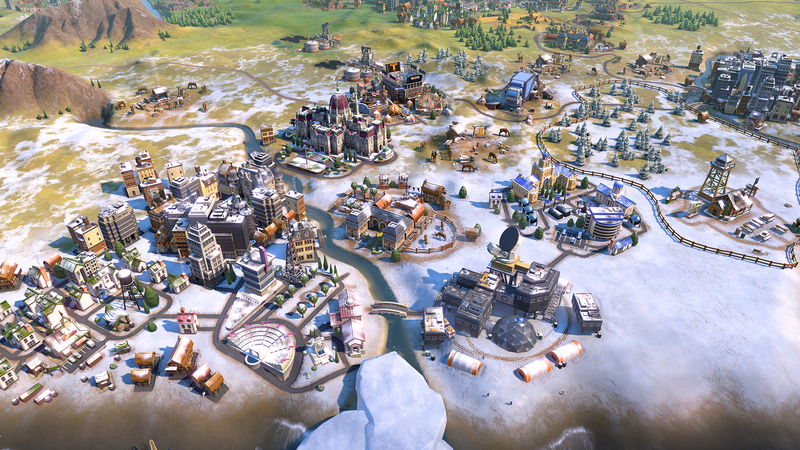 There are a lot of currencies and resources to keep track of, and of course weather and climate change, and Civilization 6 is starting to feel very, very busy. These systems aren’t all introduced at once, though, which does give you some time to get to grips with each individually. By the time industrialisation began and the world slowly started to react, I was already starting to get pretty used to thinking about how I could increase my hoard of favour or how I could use nature to my advantage. And it’s a good thing, too, as modernity brings with it a whole host of complexities, crises and solutions new to Civilization 6. Modern buildings and units need fuel and resources to build and maintain, but doing so has a negative impact on the entire world, contributing to rising CO2 emissions and affecting the global temperature. This is all trackable, thankfully, in surprising detail, and not just in the later eras. The chart isn’t very scintillating before then, however, as it pretty much stays the same for most of human history. Right now, I’m trying to create plans for the future, protecting my vulnerable Maori cities from rising sea levels and off-setting pollution by exploring greener paths, such as solar or geothermal energy. Maybe I&apos;ll even be able to do something about those pesky volcanoes. You don’t need to care about the planet—you can just keep burning through resources and accept the risks—but trying to curtail impending disasters and make the world a little bit better seems more appropriate for Civilization, which has always been a fairly optimistic series, despite the nukes and wars. Keep an eye out for my review closer to the February 14 release date. 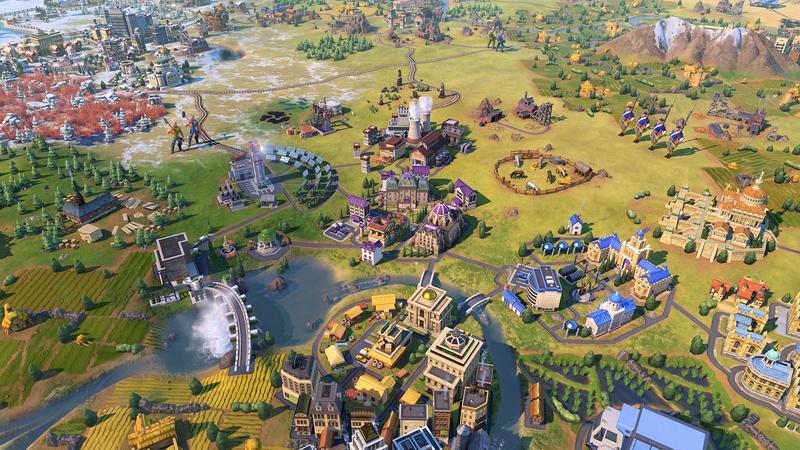 Civilization 6 will get eight new Civilizations and nine new Leaders in the upcoming Gathering Storm expansion, along with some big changes to its core systems and a major late-game challenge to deal with in the form of man-made climate change. A new trailer released today showcases how it will all come together, from early-game difficulties with the environment to randomized 21st-century Technology and Civics trees in the new "Future Era." Disasters aren&apos;t necessarily all bad. Volcanoes are inherently risky to build around for obvious reasons, but volcanic soil is extremely fertile; flooding rivers can wash away village improvements, but you may also see increased food yields when the floodwaters recede. Some of them, like grassland tornadoes, are bad news all around, while others will apparently have civ-specific benefits: Blizzards are tremendously destructive, but can also confer some "nice benefits" if you happen to be playing as Russia. Strategic resources will be divided into Fuel, which will be of particular importance once you his the Industrial Era, and Material. Unpowered buildings in Industrial (and beyond) cities will produce less than half their normal yield, and military units lacking the requisite Fuel and Material will be weaker in the field. The flipside of that new feature is that using some fuel types will release carbon dioxide into the air, driving up global temperatures—climate change—and leading to "unique consequences including increased storms or flooding, and rising sea levels." Green technologies can help alleviate the impact of climate change (careful with those nukes, though), and if you can make it into the new Future Era you&apos;ll have the opportunity to make friends and influence people (and maybe save the world) through the World Congress, and advance through the randomized 21st-century Technology and Civics trees. 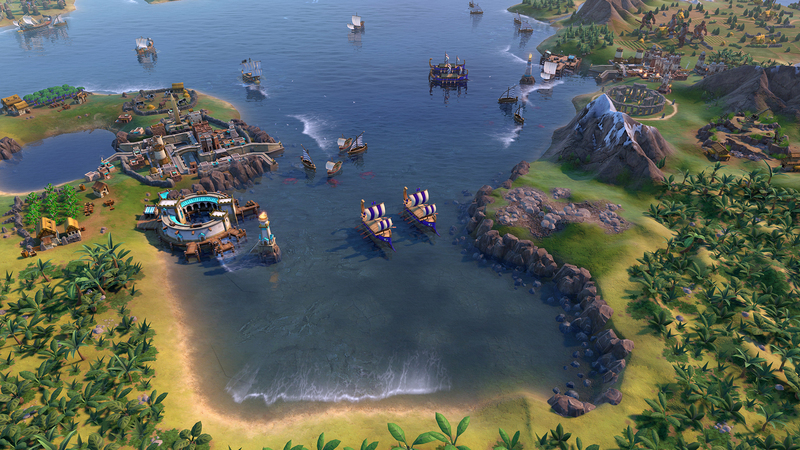 Civilization 6: Gathering Storm comes out on February 14. If you haven&apos;t already met them yet, here&apos;s Corvinus, Laurier, Kristina, Suleiman, and Dido. 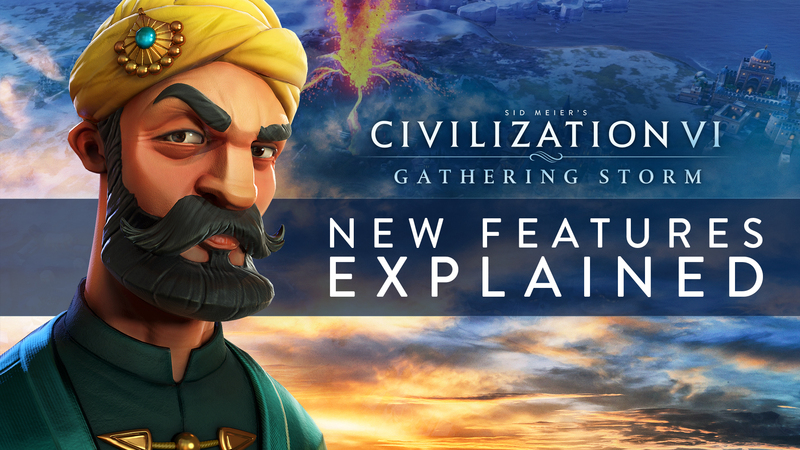 Learn about all the new features being added to Civilization VI in this extensive gameplay preview of the Gathering Storm expansion! Click the embedded link below to watch, and be sure to subscribe to the Sid Meier's Civilization channel on YouTube! 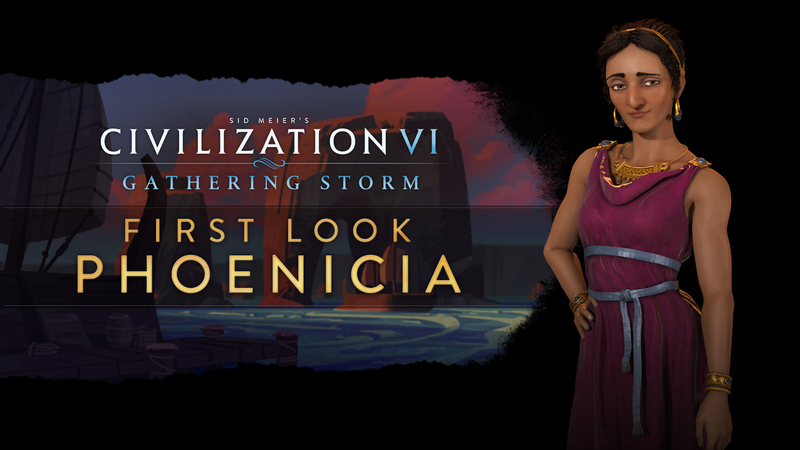 The ancient Mediterranean civilization of Phoenicia sets a course for Civilization VI: Gathering Storm. Led by Dido, the legendary founder and first Queen of Carthage, Phoenicia is a great civ for players looking to subjugate the seas. Combined with Dido’s unique ability to move the capital from one city to another, it’s easy to see how Phoenicia can adapt in ways other civs cannot. Allows Phoenicia to move its capital to a city with a Cothon by completing a unique project in that city. Unlocks additional trade route capacity with the construction of a Government Plaza district and subsequent Government Plaza buildings. Increased Production toward districts in the city with the Government Plaza. Unlocks Writing technology Eureka at the start of the game. Coastal cities founded by Phoenicia on the same continent as its capital are 100% loyal. Settlers have additional movement and sight range while embarked, and ignore additional movement costs associated with embarking and disembarking. Naval district that replaces the Harbor and is cheaper to build. Must be on Coast or Lake Terrain adjacent to land. Increases Production toward naval units and Settlers in the city. All naval units in this city’s borders heal completely in one turn. Ancient era naval unit that replaces the Galley. 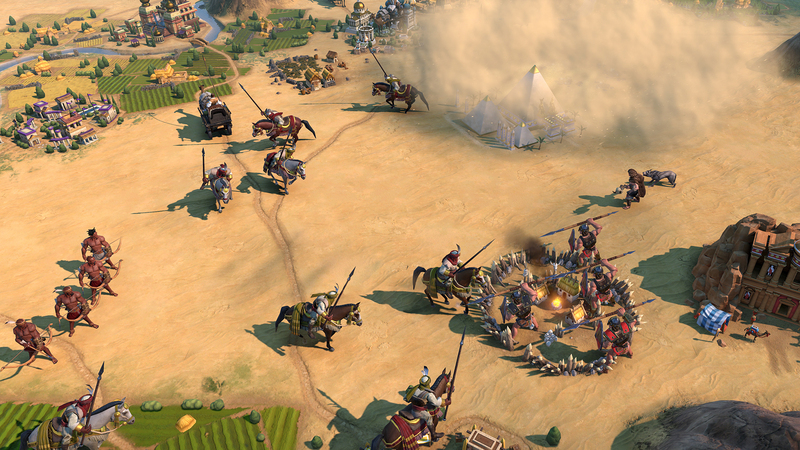 Has increased combat strength and movement, and friendly Trader units are immune to being plundered if on a water tile and within four tiles of a Bireme. 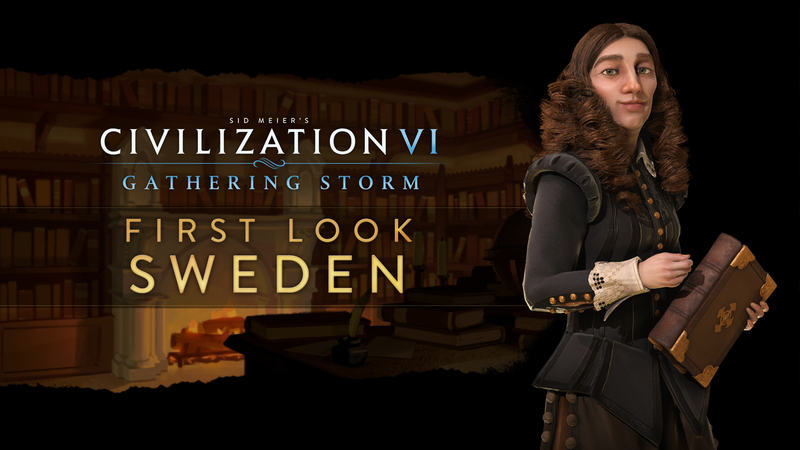 Fraser said last week that the addition of Sweden to Civilization 6 in the Gathering Storm expansion will be just the thing for players who prefer cultural or diplomatic victories over the more traditional route of violent imperialism. If, on the other hand, violent imperialism is really your bag, then allow me to introduce Suleiman the Magnificent, head honcho of the Ottoman Empire. 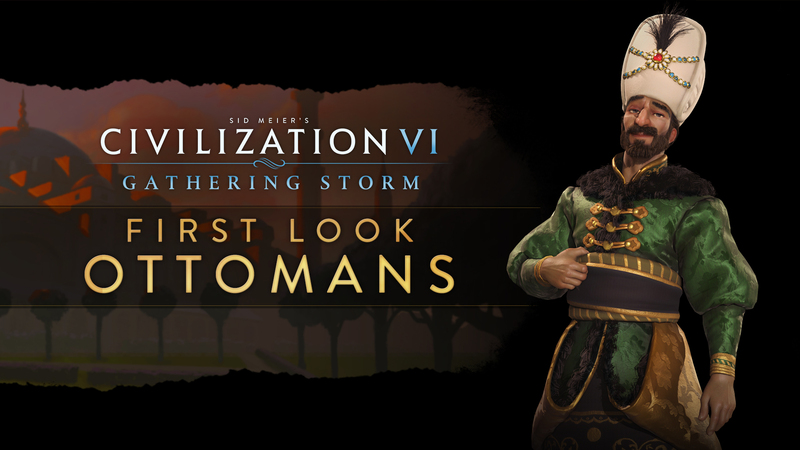 Suleiman&apos;s unique ability is Grand Vizier, which unlocks a new governor named Ibrahim. 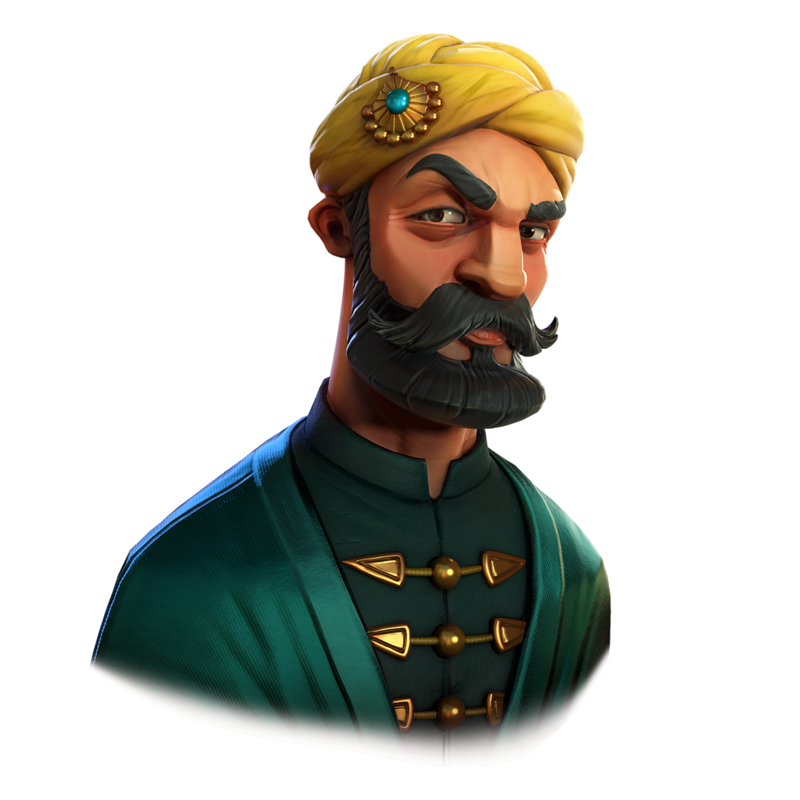 A potential "major player in diplomacy," Ibrahim has his own promotion tree, is the only governor who can be established in another civilization, and is available only to Suleiman. The unique Ottman building is the Grand Bazaar, which replaces the Bank in commercial hubs and adds extra amenities and strategic resources in cities where it&apos;s placed. 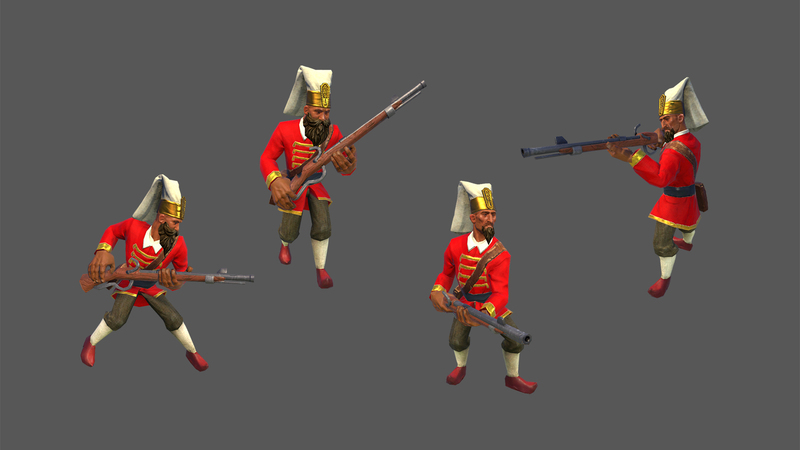 The Janissary, a replacement for the Musketman, is Suleiman&apos;s unique unit: It&apos;s stronger and cheaper to build than a Musketman and starts with a free promotion, but consumes a population point from the city it&apos;s trained—unless it&apos;s raised in a conquered city. Make use of that knowledge as you see fit. 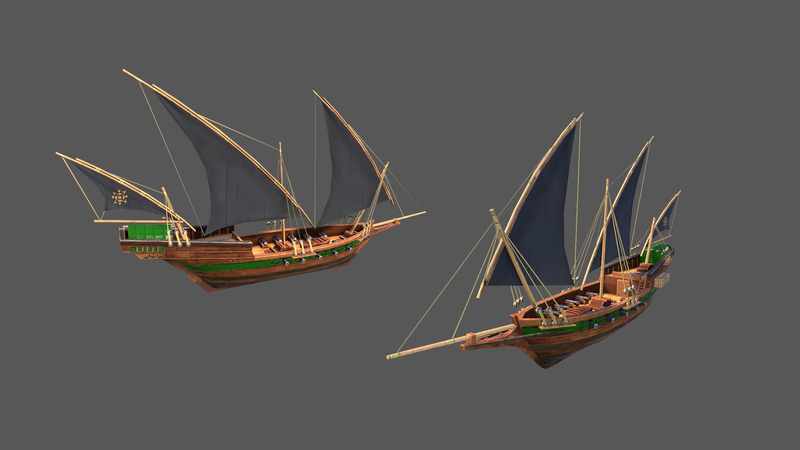 The Ottomans also have access to the Barbary Corsair, a unique replacement for the Privateer that becomes available earlier in the game and does not incur a movement cost when conducting coastal raids. The unique Ottoman ability is Great Turkish Bombard, which enables them to construct siege units much more quickly than other civilizations and grants them additional combat strength. Conquered cities do not lose population, and will also gain amenity and loyalty bonuses while under Ottoman control. If war is your thing, then, it sounds like Suleiman could be your guy. 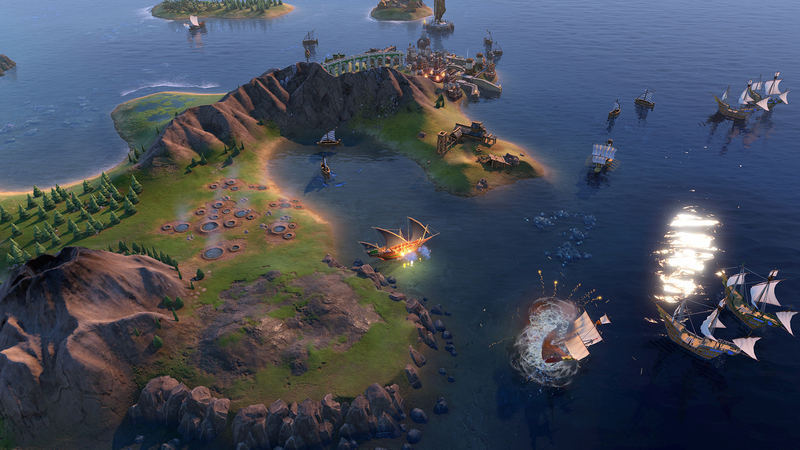 Civilization 6: Gathering Storm is set to come out on February 14. It will also include Hungary, Canada, and catastrophic climate change. 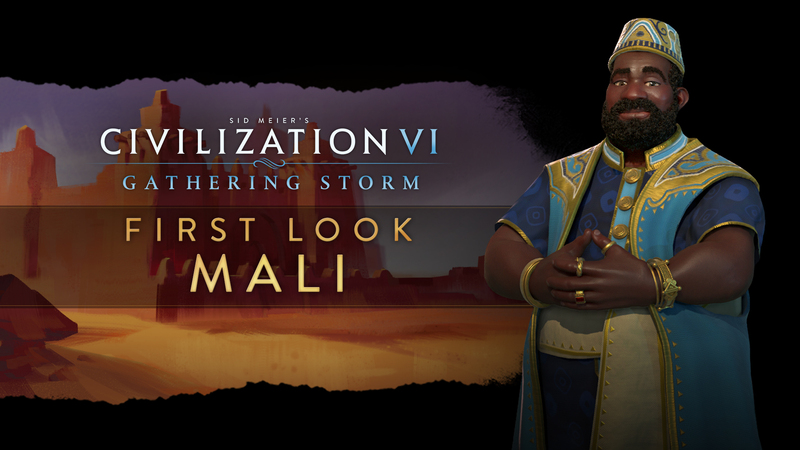 The Mali civ is the latest to bless the Civilization VI: Gathering Storm roster. Led by Mansa Musa, arguably the richest man who has ever lived, the Mali are an adaptable civ suitable for any victory condition. With strong economic and faith-based perks, the Mali can easily make up for, and surpass, the limitations hindering most desert-based empires. This replacement for the Commercial Hub allows Mali to purchase Units, Buildings, and Districts at a reduced cost, with either Gold or Faith. Also provides additional Gold for adjacent Holy Sites, tiles containing a River edge, and bonus Gold for every two adjacent District tiles. Provides City Centers with additional Faith and Food for every adjacent Desert and Desert Hills tile. Mines provide less Production to the city, but grant additional Gold output. Mali may purchase Commercial Hub district buildings with Faith, but suffer an overall Production penalty when constructing buildings or training units. 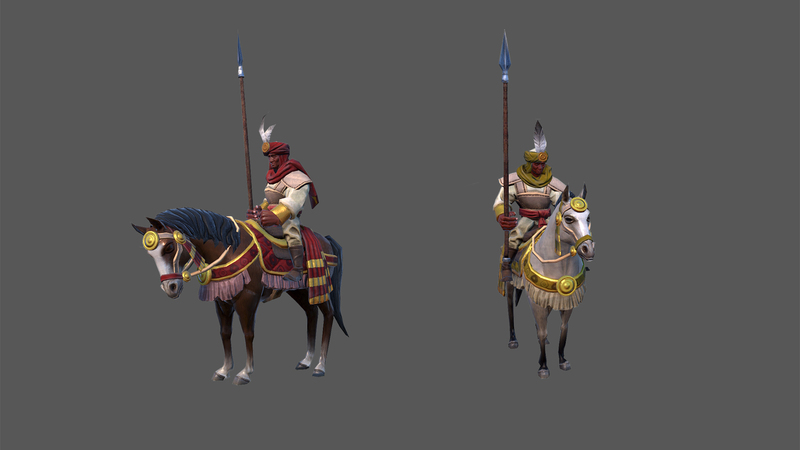 This Medieval-era unit replaces the Knight and prevents Mali Trader units from being plundered, as long as they are on a land tile within four tiles of a Mandekalu Cavalry unit. 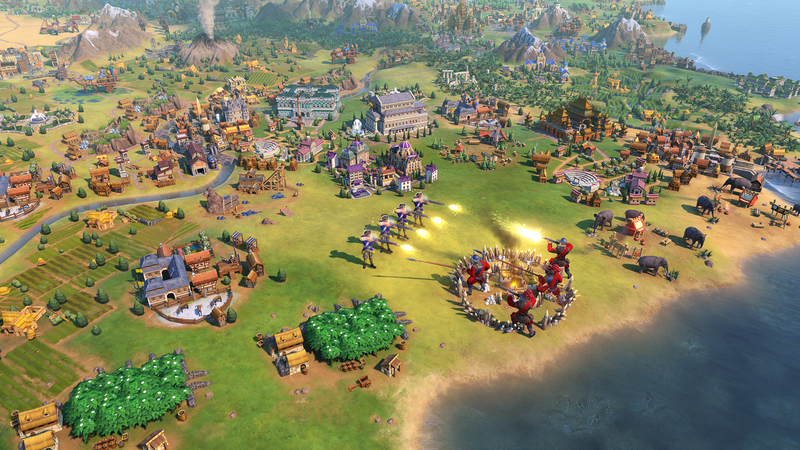 Combat victories provide Gold equal to the unit’s base Combat Strength. International Trade Routes grant Gold for each flat Desert tile within the originating city’s borders, and Sahel Merchants unlocks an additional Trader slot whenever Mali enters a Golden Age. Wow 2019 is a thing, huh? How are we all doing? Relieved? Bowling a hangover and a nagging sense of trepidation? Maybe you work in retail and, surprise! You were supposed to be at work half an hour ago. Time loses all meaning post-New Year break, doesn’t it? You’re just sort of adrift in a sea of empty Quality Street wrappers. That’s okay. We’re all there too. Pretty soon the grim news cycle is going to grind to life again. Only three months until — no! Don’t think about it. We still have a moment here, on the crinkly, brightly coloured waves. Listen to their quiet rustling and think, not about reality, but about games! Yes, lovely, shiny games. We can bury our face right in them. And from that point of view the next 12 months are looking pretty good. Here’s our selection of the games we’re most looking forward to next year. We’re excited to share that Civilization VI is one of the nominees for Best Alternate History in the Steam Awards! If you could be so kind as to toss us a vote, we’d greatly appreciate it. Feel free to tell your friends, too! 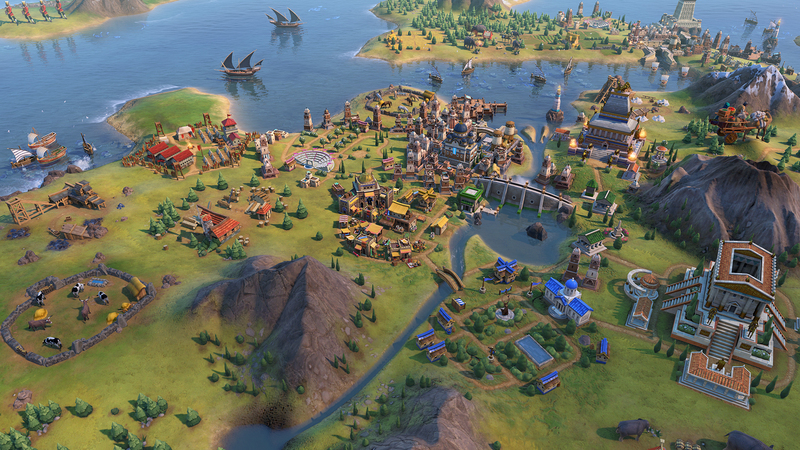 Today also marks the start of the annual Steam Winter Sale, where you can save up to 70% off on all Civilization VI content. 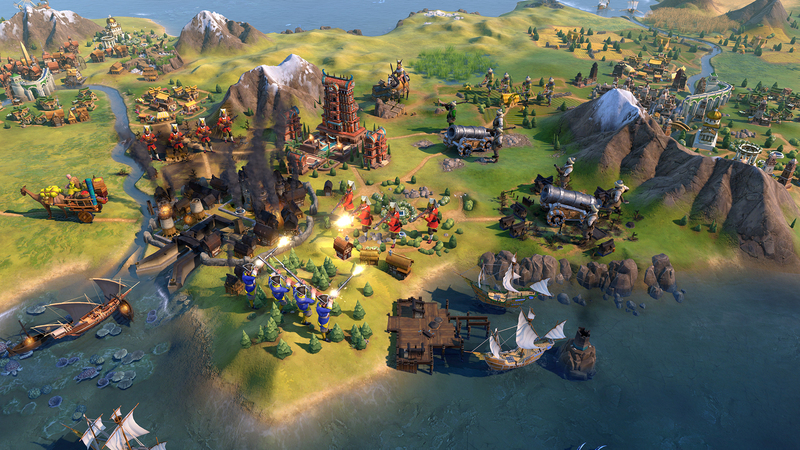 If you happen to own Civilization V, and have yet to try Civilization VI, you’ll notice a special 5% loyalty discount on top of the Steam Winter Sale for the base game and Digital Deluxe. 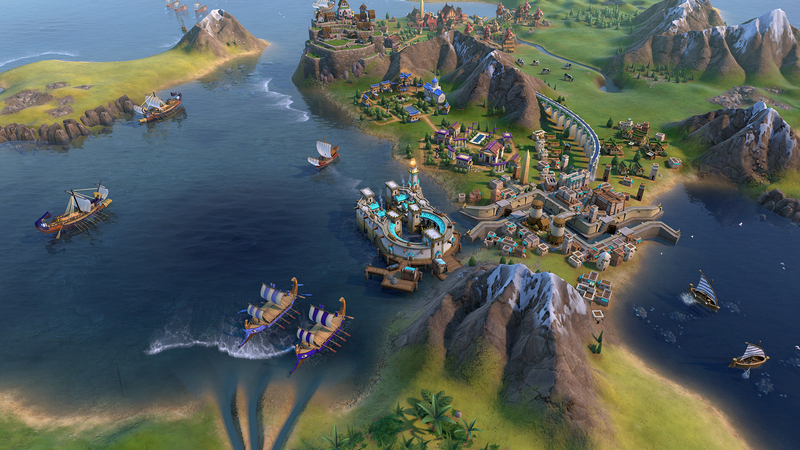 So if you’re a Civilization V owner, now’s the perfect time to try Civilization VI before the launch of the latest expansion, Civilization VI: Gathering Storm, available February 14, 2019.